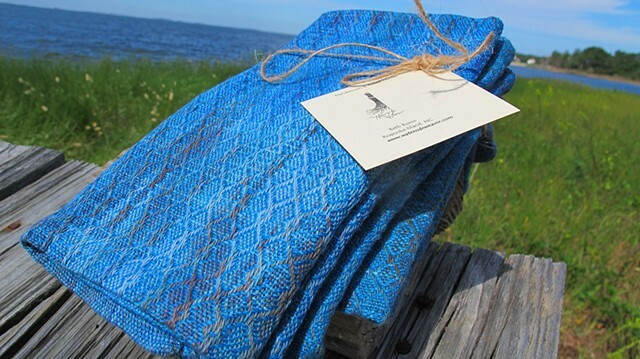 These handwoven napkins (set of 4) were created by painting a cotton warp, then woven in a twill pattern. They are an extra large size that will enhance the beauty of any special table setting. I love them so much, that I kept a few for myself!